It’s hard to believe that Windows XP was released over 15 years ago. 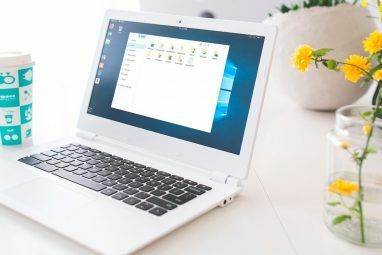 If you’re still running it then you might want to consider upgrading to Windows 7 or Windows 10 in order to take advantage of new features, be better protected, and have greater software support. We’ll show you how to make that jump. We think there’s many compelling reasons to upgrade to Windows 10 10 Compelling Reasons to Upgrade to Windows 10 10 Compelling Reasons to Upgrade to Windows 10 Windows 10 is coming on July 29. Is it worth upgrading for free? If you are looking forward to Cortana, state of the art gaming, or better support for hybrid devices - yes, definitely! And... Read More , but whether you want to move to Windows 10 or Windows 7, the process is mostly the same. You’ll need to ensure your hardware supports the newer operating system (OS), back up your files, then proceed with the upgrade. If you recently stopped using Windows XP, then please share your experience in the comments below. The first thing you need to do is check that your hardware is compatible Is Your Computer Compatible with Windows 10 & Can You Upgrade? Is Your Computer Compatible with Windows 10 & Can You Upgrade? Windows 10 is coming, possibly as soon as July. Are you eager to upgrade and will your system be eligible? In short, if your computer runs Windows 8, it should also run Windows 10. But... Read More . There’s no universal answer for this because it depends on the components in your system. To check these, press Windows key + R to open Run, input dxdiag and click OK. This will launch a diagnostic tool which details the components you have installed. You’ll find the pertinent information on the System and Display tabs. With this noted, compare your current components to the requirements for Windows 7 or requirements for Windows 10. An alternative method, if you’re upgrading to Windows 7, is to download and run the Windows 7 Upgrade Advisor. This will scan your hardware, devices, and software for any known compatibility issues and advise accordingly. Sadly, there’s no such software for Windows 10 (when coming from XP). If you’ve had your Windows XP system for a very long time and never upgraded any of the parts, chances are that you won’t be able to run a newer OS. Search your component manufacturer’s website to ensure they supply drivers to support Windows 7 or 10. If this applies to you, it’s worth considering buying a new computer or laptop that has Windows 10 pre-installed. 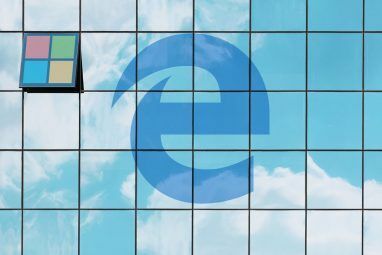 Hopefully, you already know how important it is to back up your data 5 Basic Backup Facts Every Windows User Should Know 5 Basic Backup Facts Every Windows User Should Know We never tire to remind you to make backups and keep your data safe. If you're wondering what, how often, and where you should back up your files, we have straight forward answers. Read More . If you were moving from Windows 8 to 10, for example, the upgrade process allows you to keep your personal data and programs intact. However, this isn’t possible when coming from Windows XP. You’ll have to do a clean install, which means that none of your personal data will remain. As such, before proceeding, you need to back up your data. If you’re moving from XP to 7, you can use the Windows Easy Transfer tool to copy your files, photos, music, e-mail, settings, and more. When you launch this tool, you’ll be guided through a wizard and asked what method you want to use as a transfer. I would recommend using an external hard disk or flash drive, if you have a spare one. You can then select specifically what you want to transfer. Windows 10 doesn’t support the Easy Transfer tool, but it’s still relatively easy to back up your files. Decide where you’re going to save the backup, this could be physical storage or the cloud, and move everything across. You will permanently lose everything you don’t back up, so think carefully about what you want to keep. For the majority of people, this will just be their user folder, containing their pictures, videos, and so on, but you might also have particular program files you need to keep. Think about your browser bookmarks, emails and game saves. To get the full low-down on backup, check our ultimate guide to PC backup and restore. Once you know your system can handle the upgrade and you’ve backed up everything you want to keep, it’s time to install the new OS. If you have a license key for Windows 7 or 10 without physical media, you’ll first need to download the Windows 7 ISO or the Windows 10 ISO. These disc images will guide you through the process of creating your own installation media, so you’ll need a disc/USB handy to burn it to. 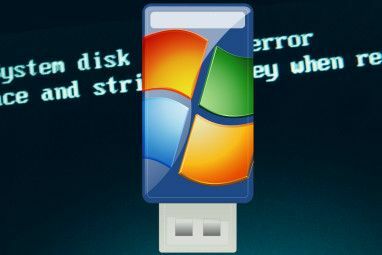 Our guide on creating bootable Windows installation media How to Make a Bootable USB/CD/DVD to Install Windows Using an ISO File How to Make a Bootable USB/CD/DVD to Install Windows Using an ISO File Need installation media to reinstall Windows? Our tips show you how to create a bootable USB, CD, or DVD from scratch. Read More goes into further detail on this. With your installation media ready, or if you already have a retail copy, pop it into your system. You now need to tell your computer to boot from this media. You need to restart your computer and enter the BIOS. The key you press to enter the BIOS varies per system; you should see it displayed during system start-up and it’s usually a Delete or a Function key. Tap it until you enter the BIOS and then change your boot device priority so that your installation media is first. For more information on this, see our guide on how to change the boot order How to Change the Boot Order on Your PC (So You Can Boot From USB) How to Change the Boot Order on Your PC (So You Can Boot From USB) Learn how to change the boot order of your computer. It's important for troubleshooting issues and tweaking settings, and it's a lot easier than you think. Read More . Once complete, you will then be taken to the Windows 7 or Windows 10 installation process. If prompted, be sure to select the fact that you want to install a new copy of Windows, rather than an upgrade which will not work. You’ll be asked to set your language, name, settings, and more during the installation process. Be prepared to spend time waiting for the installation to complete as it might take a while. Once done, your system should restart automatically and take you into your new OS. Now that you’re on your shiny new OS, you can bring back all your personal data and programs. If you used the Easy Transfer tool then launch it on Windows 7 and follow the instructions through. If you backed up elsewhere, go about copying those files onto the new system. You’ll be able to drag and drop things over easily. Remember to also install your programs, which you can do in bulk using a service like Ninite The 9 Safest Free Software Download Sites for Windows The 9 Safest Free Software Download Sites for Windows Many software download sites are loaded with malware. Here are some free software download sites you can trust. Read More . Spend some time getting to know how Windows 7 or Windows 10 works – they’re both great improvements on Windows XP and offer lots of new functionality for you to enjoy. If using Windows 10, we’ve covered how to control all Windows 10 settings How to Control Windows 10: The Settings Guide How to Control Windows 10: The Settings Guide The Windows control panel is on its way out. Its replacement, the Settings app, has received a significant upgrade in Windows 10. We'll reveal all its secrets for you. Read More in one handy guide. And that’s it! You’ve successfully upgraded your system from Windows XP to Windows 7 or 10, away from the chunky blue aesthetics onto a sleeker and better protected OS. 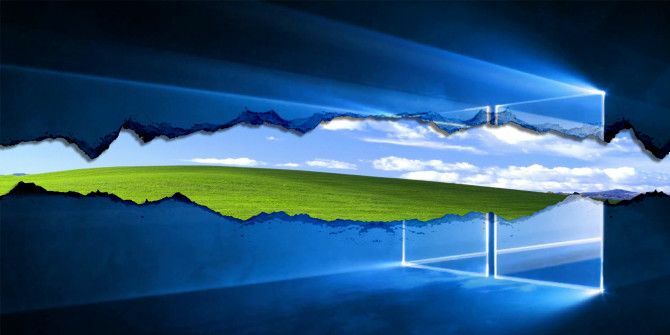 If you’re missing Windows XP a little bit and fancy a smile, we’ve captured traces of Windows XP in Windows 10 5 Traces of Windows XP Inside Windows 10 Revealed 5 Traces of Windows XP Inside Windows 10 Revealed Windows 10 wasn't created from scratch. If you look closely, You will find traces of past Windows versions. We'll show you remnants of Windows XP, which survived 14 years of Windows evolution. Read More , showing that Microsoft hasn’t totally ditched every element of their Windows past. How did you find the upgrade process? Why did you stay with Windows XP for so long? Originally written by Varun Kashyap on October 22, 2009. Explore more about: Data Backup, Windows 10, Windows 7, Windows Upgrade, Windows XP. Hi, I am getting ready to upgrade from XP to Win 7. I understand that minimum requirement is a DirectX 9 capable graphics card with WDDM 1.0 driver or higher. How can I know if I have that or not? My specs say I have a 256 MB ATI mobility radeon x1400. I believe that is a DirectX 9 capable card, but is it a WDDM 1.0 driver or higher? Windows XP was one of THE BEST operating systems that Microsoft ever came out with, HANDS DOWN. It was actually able to fix itself when problems arose and you never, if ever had any problems or issues with it. It's a shame that Microsoft cut off support to one of the best software operating systems they ever developed. I certainly do miss it, and still can find on the internet some updates that are still around for it. Microsoft will not let me download an iso of Windows 7 with the product keys I have for 2 laptops that came preloaded with Windows XP. They are both Dell laptops. Microsoft apparently does not support the download of a Windows 7 ISO if you use the product key of a pre-installed version of Windows XP. I received an error message when inputting the product keys from two laptops which came with XP already loaded. Those backup packages reviewed above tend to be oversized and slow. I really like Argentum Backup which is a really good backup program for Windows. I've been using it for over 10 years already and first read about it in PC Magazine. Very fast and easy to use. It can both compress files into Zip or back up natively. I Use XP In A Dual Core Machine - There Is Very Little I Can Not Do With It. Why Would I Downgrade ? The Latest And Greatest Is For Gamers. I Am 59, And - Surprise - Not A Gamer. Anyone Who Uses A PC Mainly For Gaming Does Not Know What After Foreplay Is All About. On The Flip Side, Thankfully, Gamers Have A Very Positive Influence In The Hardware World - Without Them Diversity Would Be Almost Inexistent. While the fact that Easy Transfer is not supported in Windows 8 or 10 which is requied to be running on both the old and new OS, it may be required for the consumer to buy both the Transfer cable and Laplink's PC Mover software which is recommended by Microsoft who has entered into a partnership with them. In short, while Microsoft no longer supports Easy Transfer, the consumer who needs to transfer their files may have no other choice but to shell out about 100 bucks for the Laplink software cable and software. The Easy Transfer software will still work on the operating systems that it supports. However, I agree that people shouldn't buy any extra cables or software that they don't need, thus recommend the manual backup approach. Honestly don't know why anyone would use the cable for data transfer to a new PC. If you were going to spend 100 bucks on a cable you might as well just buy an external 2tb hard drive for that same price and move all your stuff off to it then drop it on the new PC in the same locations. I never really understood the appeal of transfer software, everyone can easily do the exact same thing manually with little effort. I heard of some that actually transfer your software installations as well? That just sounds like a mess and there is no way that works 100%. There is another way to get from XP to Win7 without having to clean install and reload everything... upgrade to Vista first. The Vista upgrade allows for keeping files, applications and settings the same way that the Win7 upgrade from Vista would. I *DO* want to keep all my files and data, so I should use "update". Why do you say to use Custom/advanced that will totally DESTROY all my files???? Judy, there isn't a direct upgrade path that will keep all your files, so you need to back them up and then restore them before changing to 7/10. Hey, Easy Transfer is really not the way to go - M$ just threw it out so that they can say "everything's fine"! If you use Zinstall, you skip most of this tutorial - it just automatically moves all your apps, settings and files to 7 - and you don't even have to run it before installing 7. I think you jumped a step. Step one should have been "Pay Microsoft $200. Do not pass Go"
Pretty good article. A couple of suggestions. In the "Drivers" step, copy them to a USB drive. Download XP, Vista and Win7 drivers if possible. I've read some really interesting stories about driver problems. In one case, video performance was degraded until a good audio driver was installed. At the end of the "Install" step, run Windows Update. There already are some Win7 patches that need to be applied, the sooner the better. In the "Installed, now what" step I would suggest a couple more things. First, do a full defrag. Win installs use lots of temp files, leading to lots of fragmentation. Second, after finishing install, before adding apps, do a full bootable image copy backup of the OS. That way if/when things get messed up you can restore your full installation which will be faster/easier than doing a new install. Then after installing all of your "base" applications, do another backup. So now when windows trips over its own feet you have 3 options, 2 of which will provide benefits of OS re-install but still save considerable time over doing a fresh install of the OS. Here's what I don't get. To upgrade to W7 from XP, you need to do a clean install. However, you need the XP installation for the upgrade to work. Jack, I came accross this article at Paul Thurrott's Super Site for Windows. I think it addresses this issue. I always buy a new hard drive when I upgrade the OS. The new drive becomes the boot drive and its a fresh install. Yes I have to reinstall all my applications, but I don't install all the crap I don't really need. It's sort of like a deep spring cleaning for your PC. I got in on the Win7 Pro Upgrade back in June during the MS Promo and received it today. I am planning to upgrade to Win7 Pro from XP Pro this weekend. Which version is this article about (Upgrade or Full)? I hope I haven't just wasted my money by buying the wrong version. Either one. The only difference is that the upgrade disc will search for an existing XP installation and prompt you for the XP installation disc if it doesn't find an installed copy. I am going to upgrade my XP laptop to 7 shortly, and this article will come really handy at that time. Thanks for all the details. Great article! I upgraded from Vista to 7 TWICE. It was a pain, both times. I'm one of those people who is very 'portable' when it comes to computers, so all of my data can fit onto a 5 GB thumb drive and my iPod. It made it a ton easier to upgrade. I feel for those people who have hundreds of gigs of useless junk they have to sift through whenever upgrading an OS. Pity.